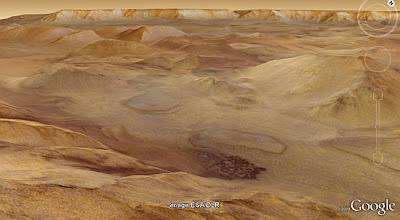 This is the result of a 3 year cooperation between the Silicon Valley's company with its NASA Ames neighbour aiming to bring the Martian landscape to the public. Also, note that on this new release, you can Dive beneath the surface and Explore the ocean. 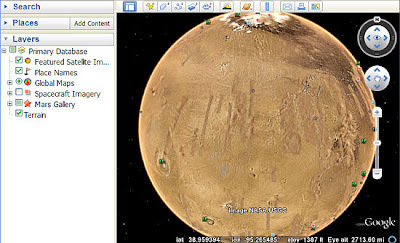 After Earth and the Stars, the now famous Google product "Google Earth" just released a new version with this time the opportunity to explore the Martian surface. Have a look, explore it and let us know if like us you enjoyed it !